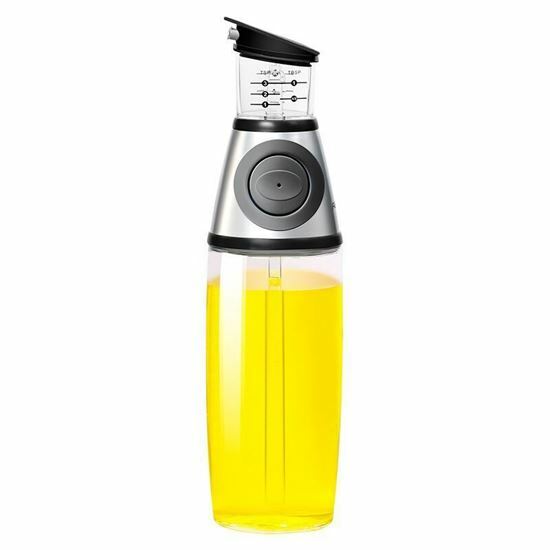 Easy Press & Measure Oil and Vinegar Dispenser High Precision No Drip Oil Bottle 500ml Helps you pour a precision amount of oil, vinegar every single time. 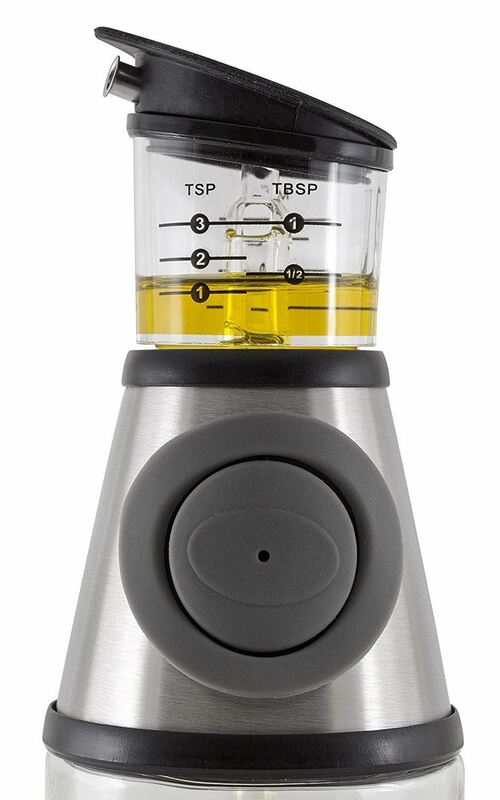 Simply push the button on both sides of the neck and your oil or vinegar pumps into the measuring container for easy portioning. 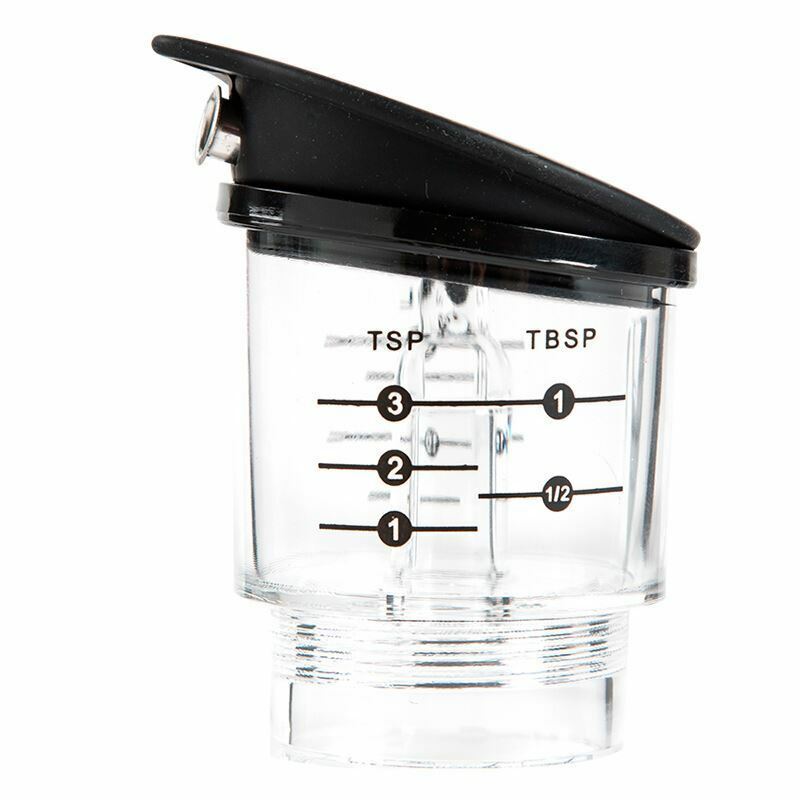 Easy to read graduated measurements on each side – teaspoons, tablespoons and milliliters. 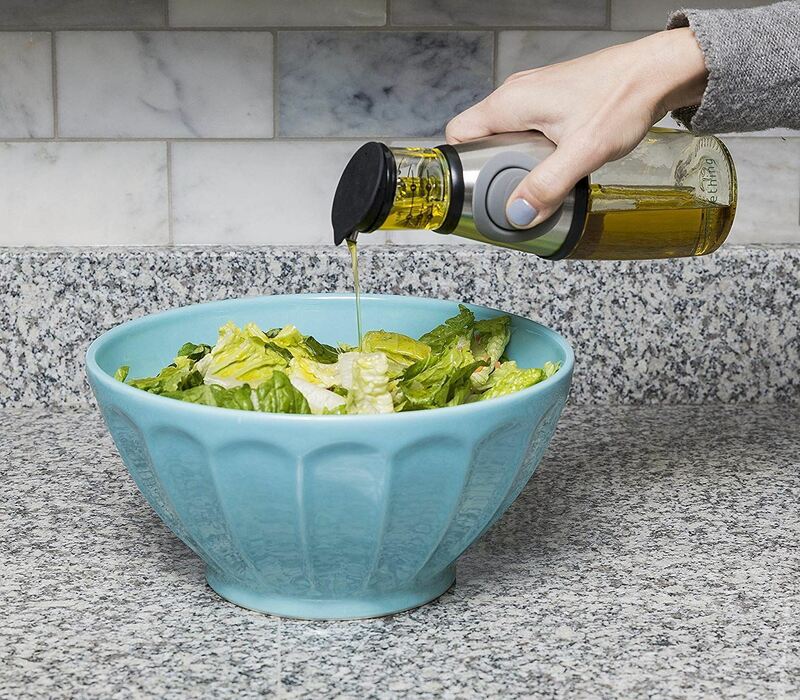 Easy-pour spout tip – allows you to pour exactly where you want, evenly and without mess. 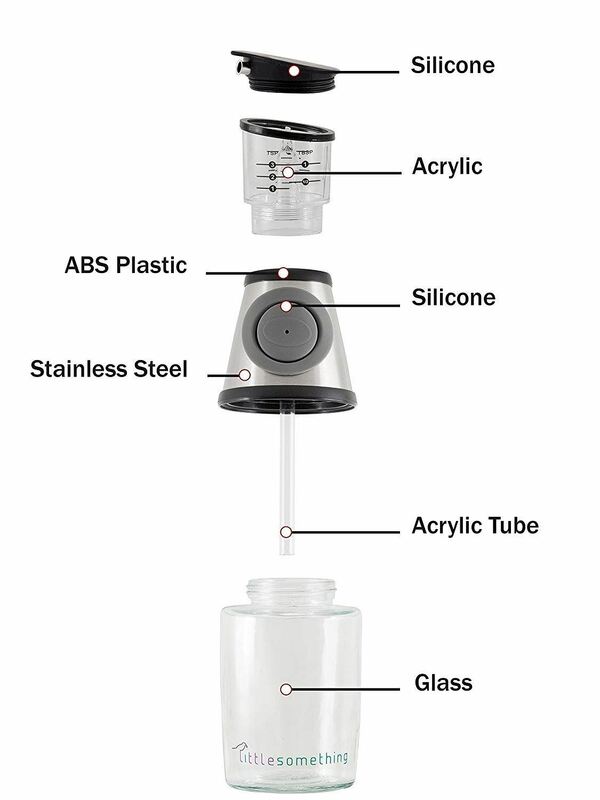 Glass container – allows you to monitor levels and easily identify when you need a refill. NB PLEASE NOTE THAT SOME OF THE GLASS BOTTLES HAVE BLEMISHES ON AND MAY LOOK DIRTY BUT AFTER A WASH THEY WILL BE PERFECT. WE ADVISE YOU TO WASH BEFORE USE. PLEASE ONLY BUY IF YOU UNDERSTAND AND WONT LEAVE NEGATIVE FEEDBACK. 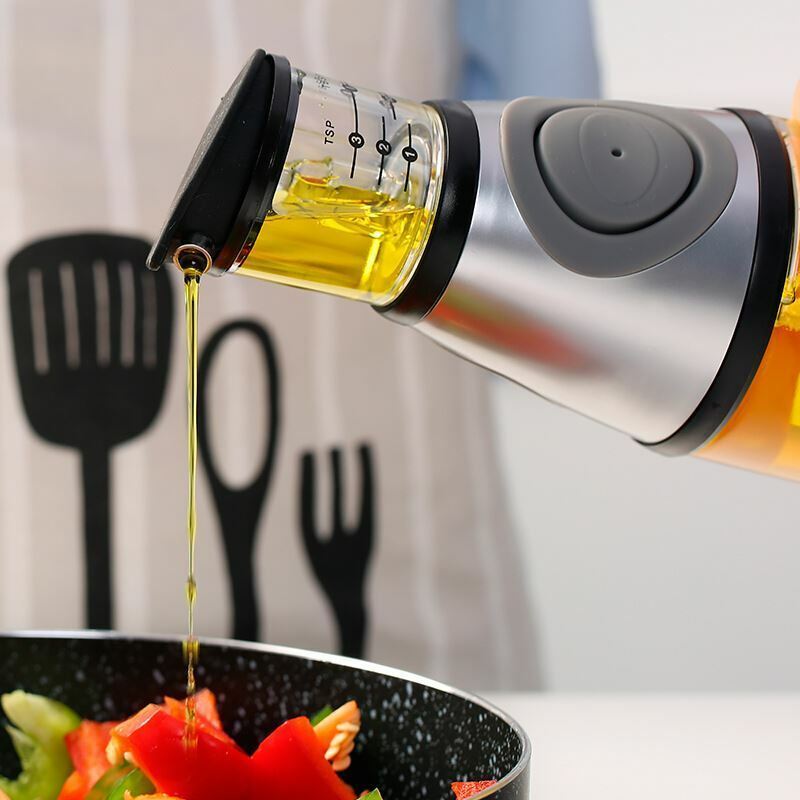 INTRODUCING A NEW DISPENSER SET THAT ALLOWS YOU TO MEASURE THE PRECISE AMOUNT OF OIL OR VINEGAR DESIRED.